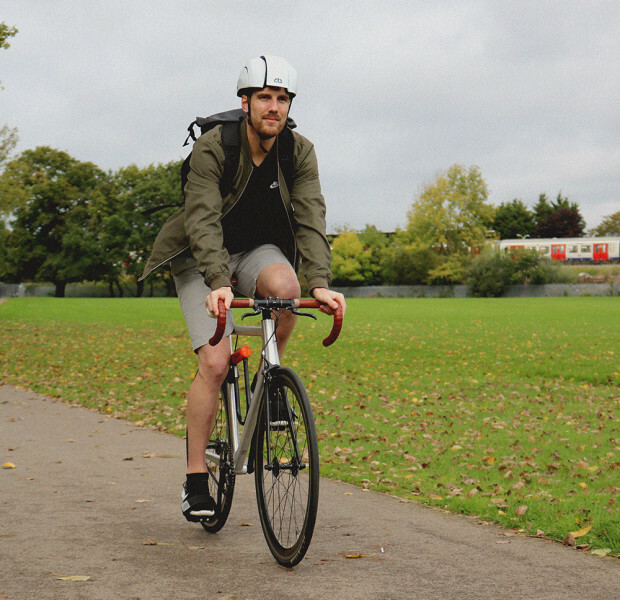 LID Helmet (UK) – London start-up, LID Helmets, is about to launch its first helmet model, ‘plico’, which folds to a fraction of its wearable size to allow for easy carrying for urban cyclists and is manufactured from recycled impact materials. 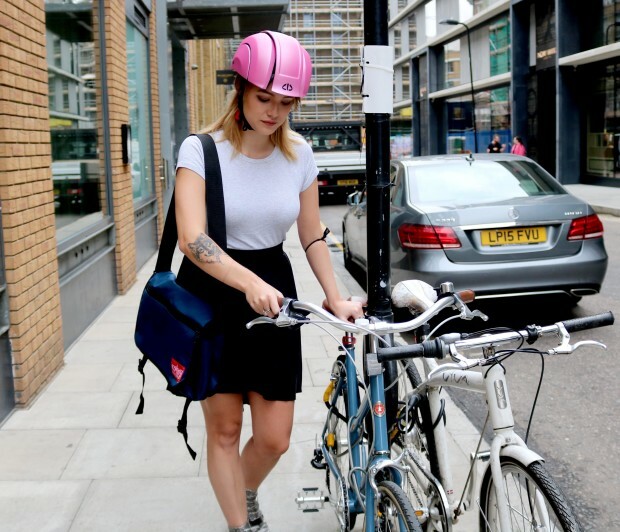 With the motto "Safety with Convenience", LID looks to address the common complaints amongst cyclists in that helmets are a hassle and unstylish, believing safety and convenience should go hand-in-hand. 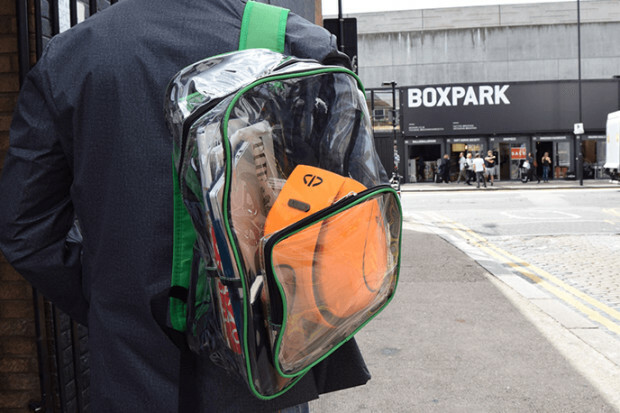 Due to the rapid rise in commuter cycling across thE globe, combined with the inherent hassle of carrying and storing a helmet, LID Helmet saw this as an issue that needed addressing. LID delivers "safety with convenience". 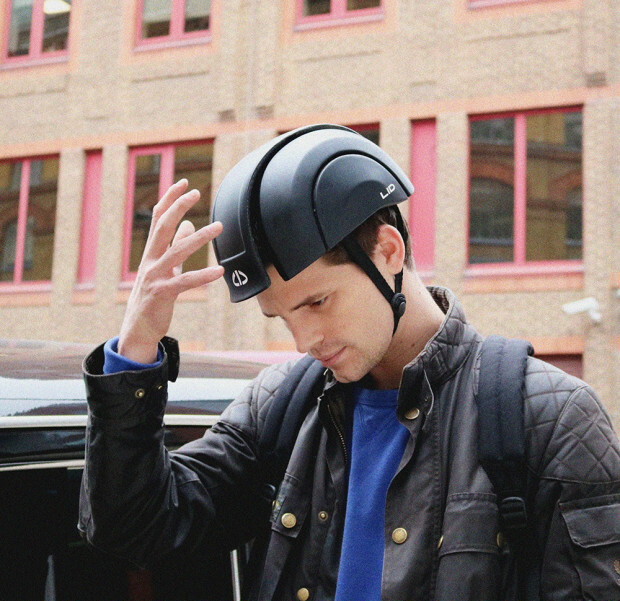 After witnessing a bike-share user in London take a hard fall, Sam Terry went about designing and developing an eco-friendly helmet that can fold up to a convenient size, without sacrificing any safety integrity. After two years of development, LID is about to launch its first model - plico. Unlike most Kickstarter campaigns, our product is through the development phase, with manufacturing ready to go. We're launching the Kickstarter campaign to fund the tooling costs to manufacture more sizes, including a kid's range. Sam: "If you look at cycling trends over the last 5-10 years, there’s been a transition. 10 years ago, there were a few commuter cyclists and they mostly wore lycra, now cyclists are prominent and they’re riding bike-hire, folding bikes and fixies and wearing the urban cycling ranges by Gant, Levi and Rapha. The roads have changed too with cycle lanes and bike-hire...the only thing that hasn’t moved on is helmets. LID is looking to answer the needs of the urban cyclist. It fits with the lifestyle of commuters and has a great profile." LID Helmet was a side project for a number of years, until Sam decided to become fully dedicated to the venture and left his career in finance. The aim is to not only to solve a problem for urban cyclists, but to encourage more commuters to swap vehicle transport for a bike. The 200th anniversary of the bicycle has made 2017 a symbolic year to rediscover and celebrate the immense potential of cycling. “The environmental and health benefits are undeniable and cycling is the answer for a sustainable future for cities around the globe”. LID will launch on crowdfunding, then become a direct-to-consumer offering through its website, Amazon and a select handful of independent bike shops in large cities. It will be available in five colours and feature a clip-on light for the rear of the helmet for cycling at dusk a and dawn. For more information about this article from LID Helmet click here. Other articles from LID Helmet.